Basting a quilt can be difficult to do it you do not have enough table or floor space to lay out the entire quilt. 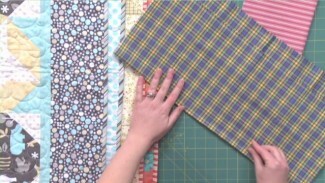 Heather Thomas shows you how to baste a large quilt on a table that is smaller than the quilt by using clamps and only pinning in the areas she plans to quilt. Heather explains that is it very common to not have enough space to lay out an entire quilt, but that it is possible to learn how to baste a large quilt on a small table. She shows one of her favorite products to use when doing so, which are small clamps that can be found at many home supply stores. Heather explains how she would first spread out the backing fabric on the table and line it up so that the center of the fabric is running along the center of the table. The backing fabric would then be clamped to hold it in place. From there, the batting and the quilt top can then be spread out over the backing fabric. Heather explains that she places basting pins in only the area that she plans to quilt first, which in this case is the center of the quilt, and then safety pins in the borders of the quilt. She then explains how to move and reposition the quilt layers to baste more sections of the quilt. Heather also talks about the pins she likes to use when pin basting for machine quilting. She uses a pin that is very fine and has a small head that allows her to easily stitch around and over if necessary while quilting. 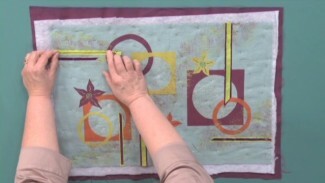 Heather also explains how pin placement is important when learning how to pin baste a large quilt and shows how to place pins around fabric motifs or in areas that are not going to be stitched. 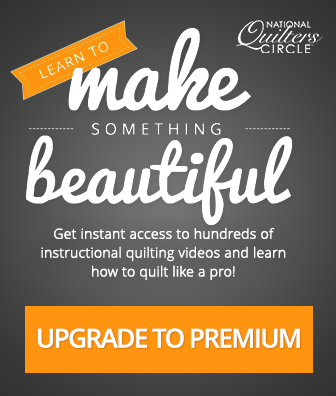 Once you have mastered this technique- check out these videos for more on quilt basting.